Whenever we travel to London, we always try to make a side trip while we’re there. The flight to London is so long, and then once we’re there, it’s just a short flight to almost anywhere in Europe. 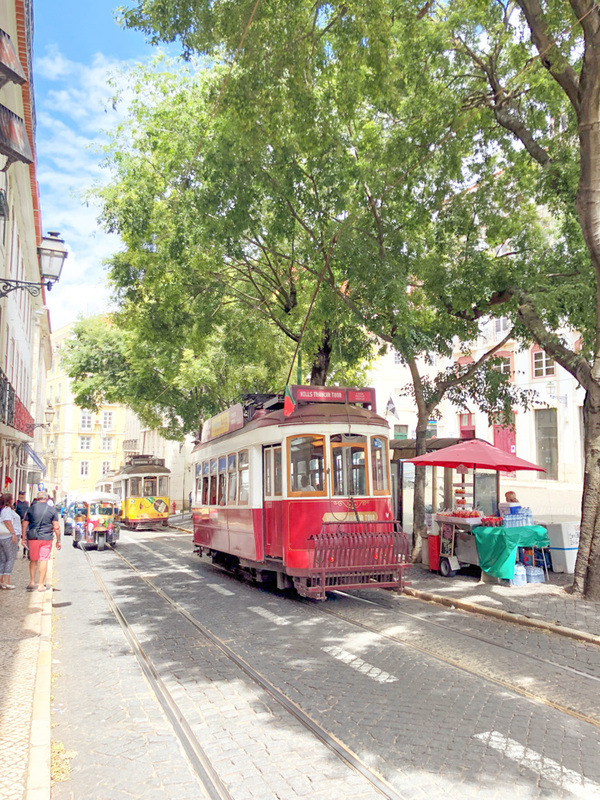 After going back and forth about a few different places, we decided that Portugal sounded like a great place to visit. 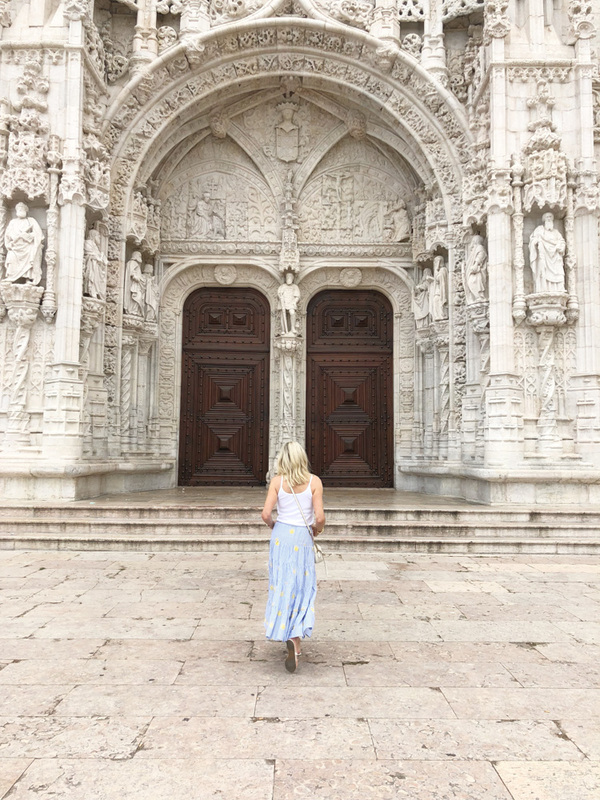 We allotted six days for our trip and decided to split it up between a couple of days in the city of Lisbon anding spend the rest of our time exploring the beaches of Algarve (more on that in a later post!). 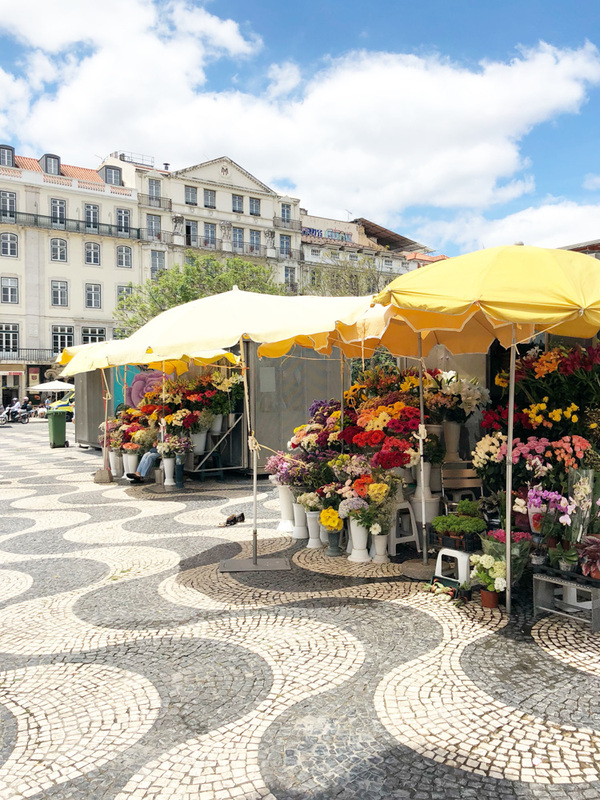 Lisbon is just a two hour flight from London and you can now fly direct from Dallas to Lisbon if you’d like to make it a strictly Portugal trip. 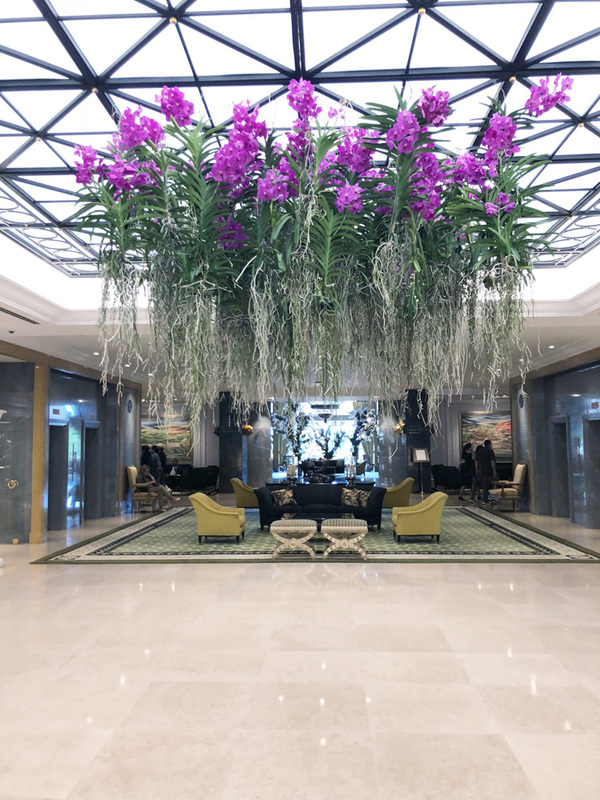 Once we arrived in Lisbon we went directly to Four Seasons Lisbon to check in and freshen up. 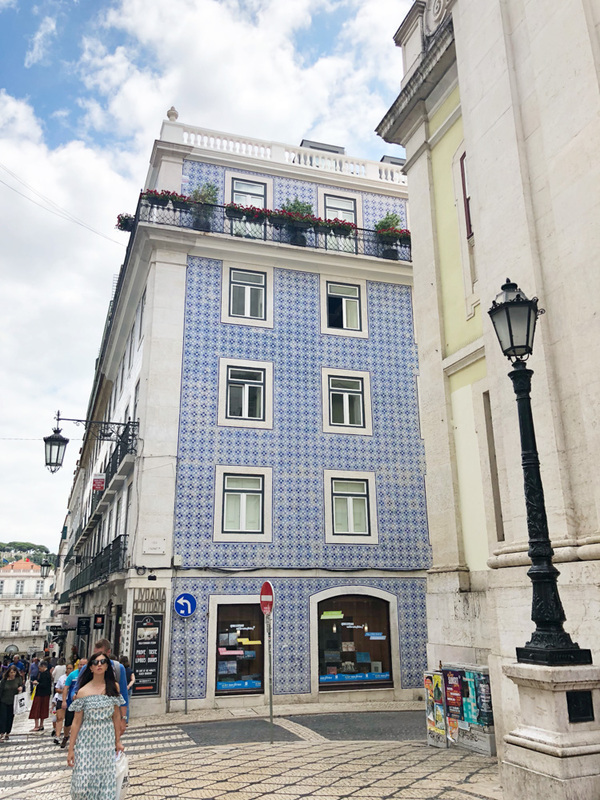 We can’t say enough wonderful things about our stay at FS Lisbon! 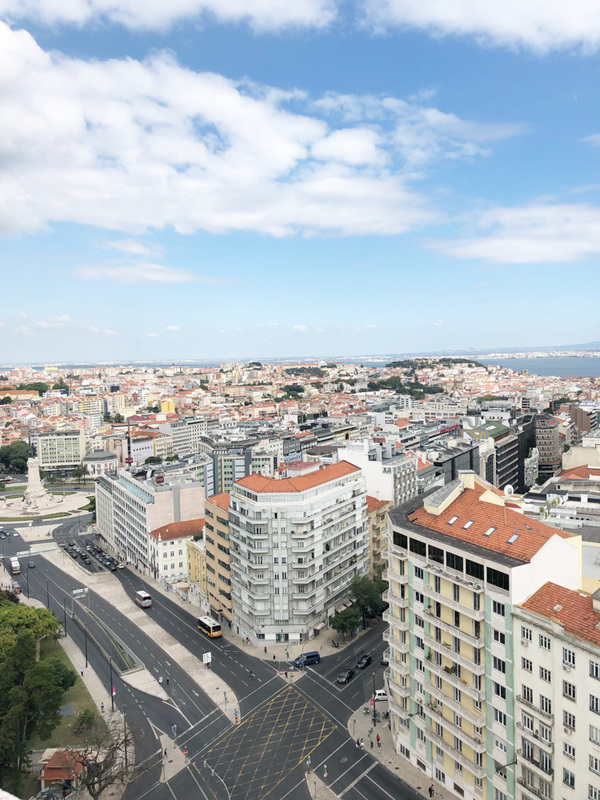 We settled into our beautiful accommodations, admired the views from our balcony and then headed downstairs to get started on our 48 hours in Lisbon…Normally we do so much advance research before we visit a new spot, but to be honest, before our trip to Lisbon we just didn’t find the time. 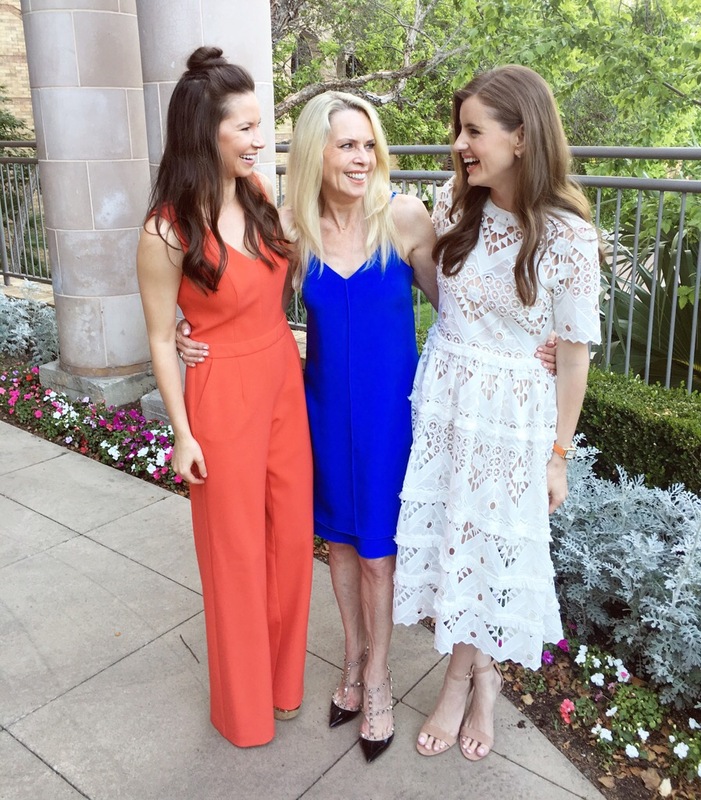 Luckily we were in good hands with the Four Seasons concierge. 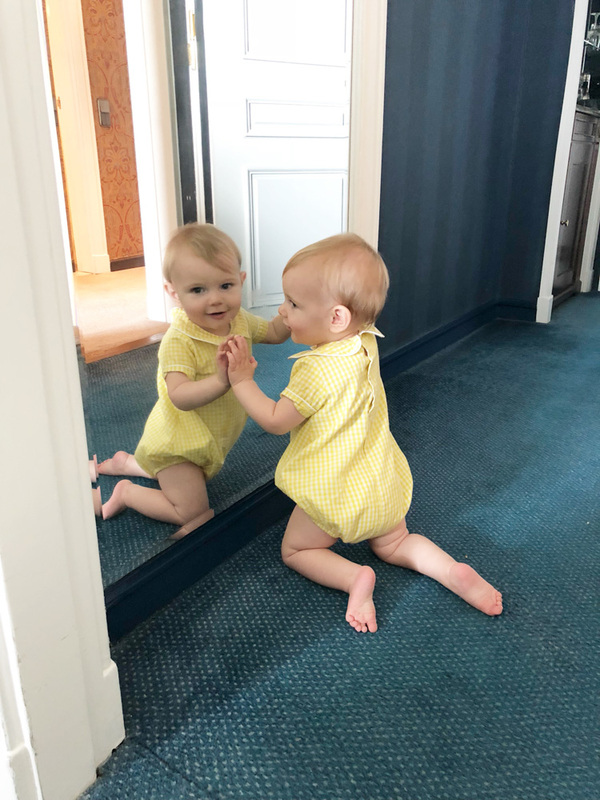 They gave us the best advice for how to make the absolute best of our short stay and everything they recommended was just perfect. 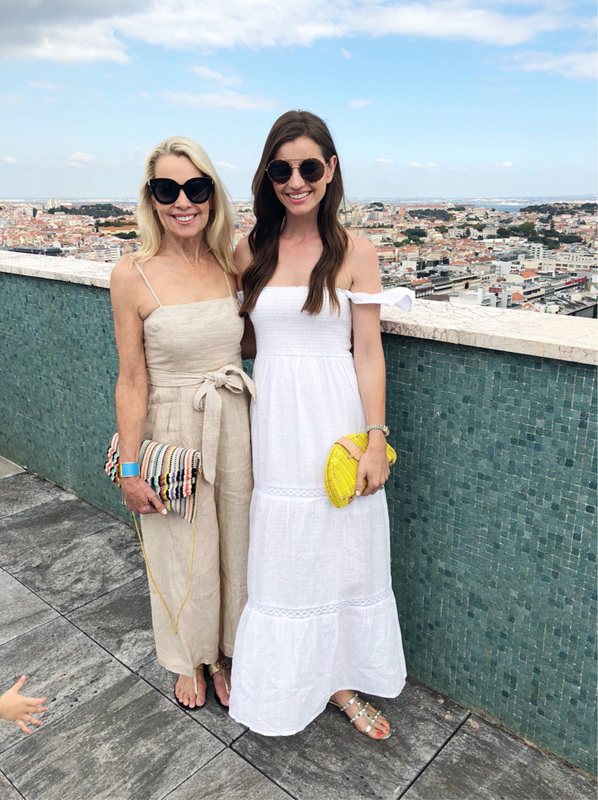 We really can’t get over what a wonderful experience we had at Four Seasons Lisbon. 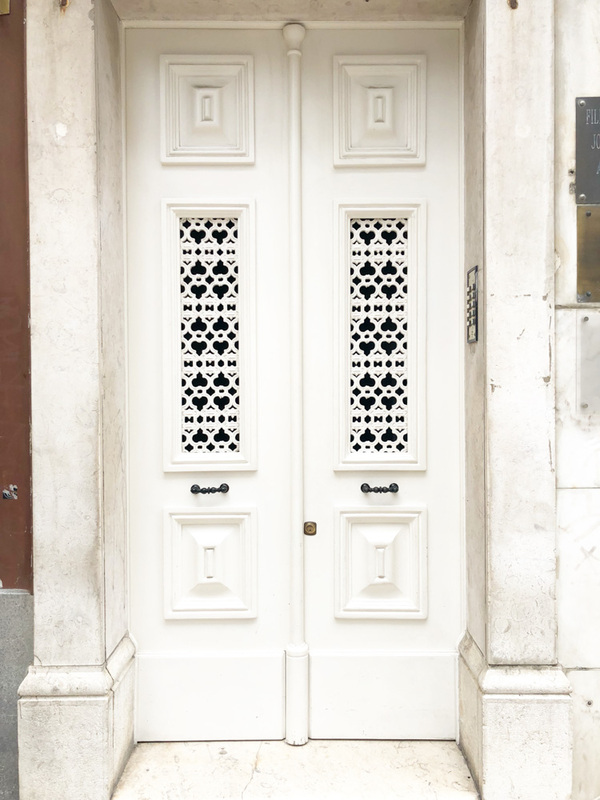 The hotel is in a quiet neighborhood, but still right in the heart of Lisbon. 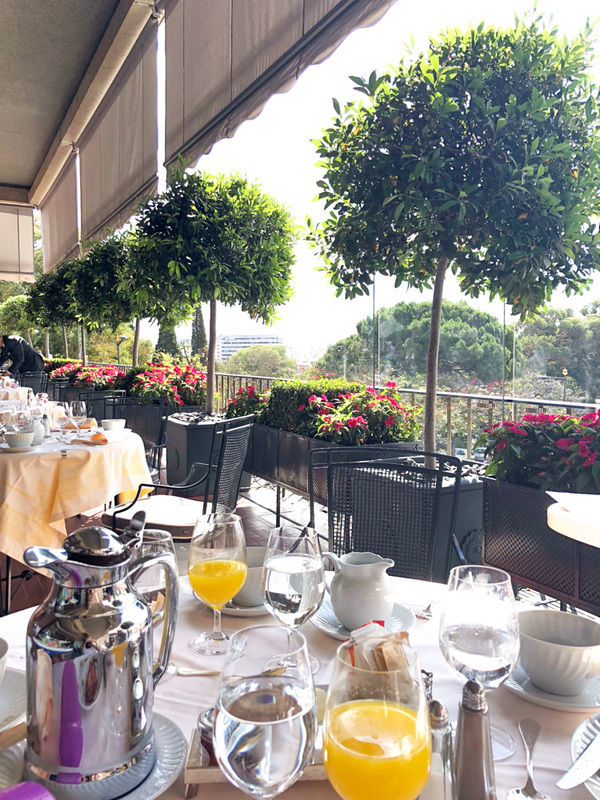 The views of the city from the hotel are breathtaking and the attention to detail in the hotel and the service was unlike anywhere we’ve been! Rooms: We stayed in the premier rooms, which were very large by European standards and spacious even by US standards. 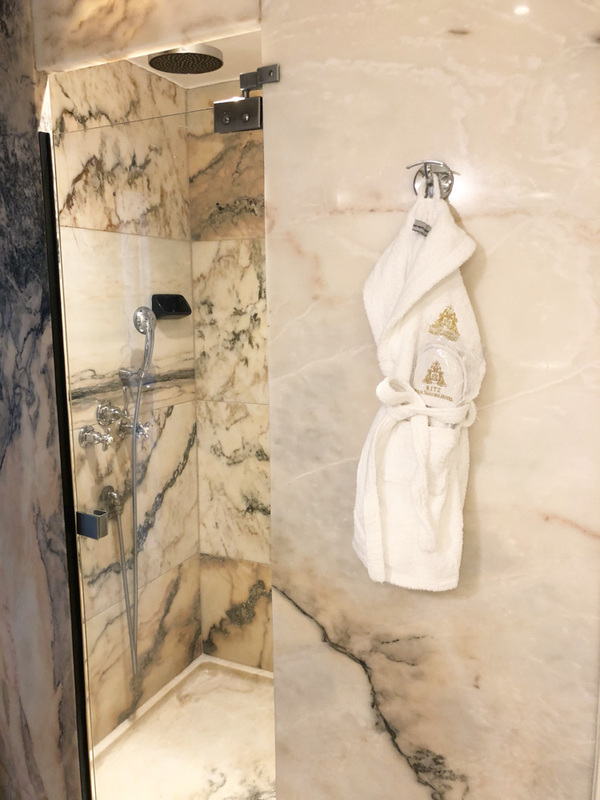 The marble bathrooms were to die for and they even had a robe and slippers for William! 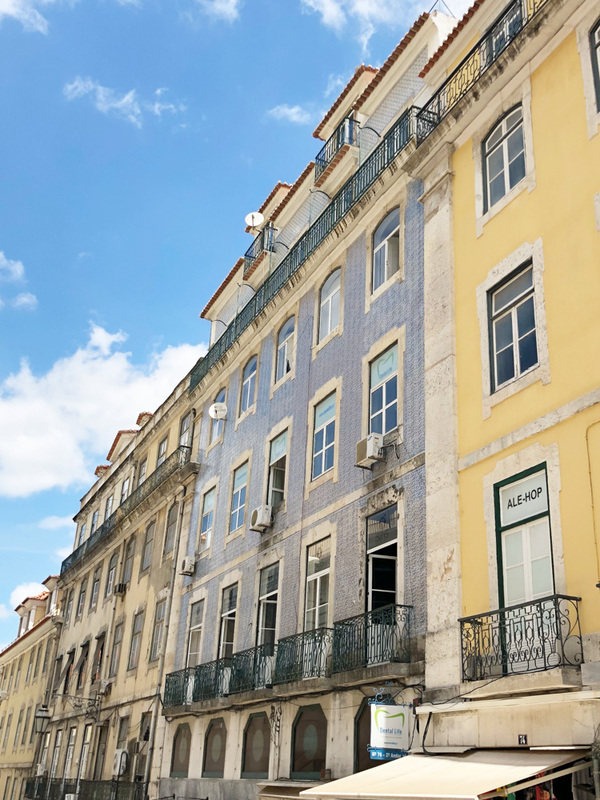 The premier rooms also had private terraces which overlooked Eduardo VII Park and you could see the Chiado and Alfama neighborhoods as well. The boys loved running around on the terraces and burning off some energy! Breakfast: We enjoyed breakfast every morning at the Varanda Restaurant. 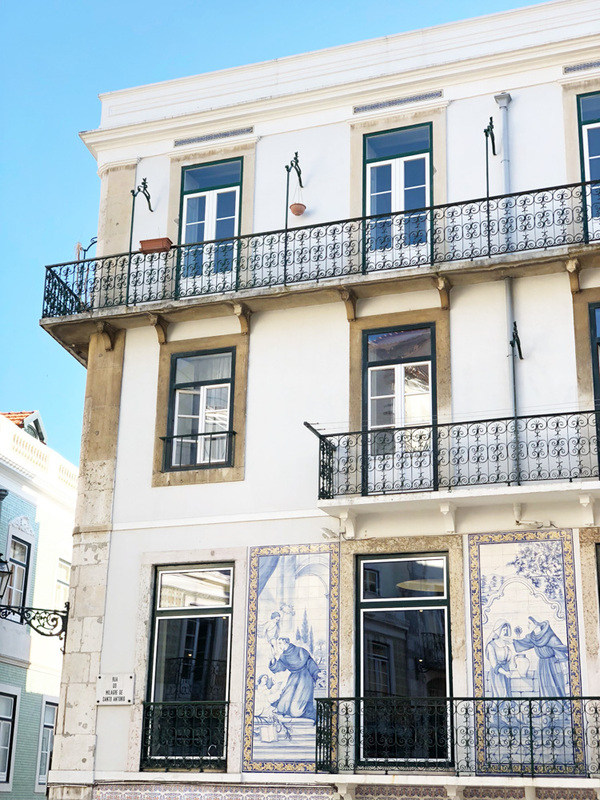 It’s an iconic Lisbon restaurant, that has a beautiful terrace and it just breathtaking! The breakfast buffet has so many choices and it was so relaxing to start our day there everyday! Ritz Bar: We ended each evening with a drink at the Ritz Bar – the perfect place for an after dinner drink in such a beautiful space. Concierge: Like we said above, the concierge was so helpful in planning sightseeing and activities for us to do, especially considering we had such a short stay! 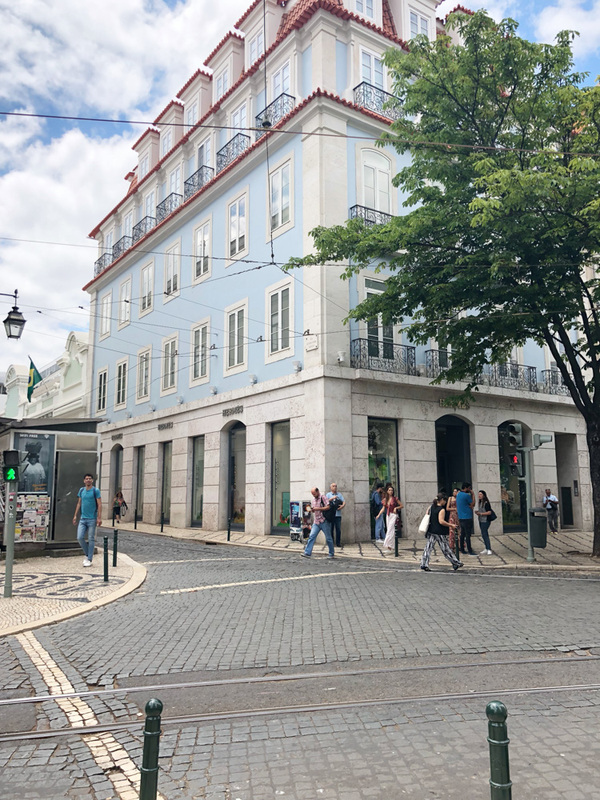 They made lunch and dinner reservations for us and had great suggestions for what we should see and do during our time in Lisbon. 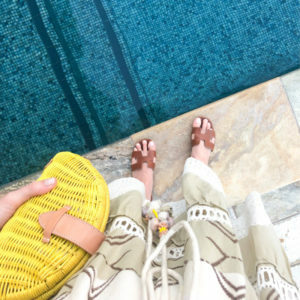 Spa: If we had had more time, we would have loved to try a spa treatment, but we spent most of our time exploring the city! After our first day of exploring, we took the boys to the Spa pool and let them swim. 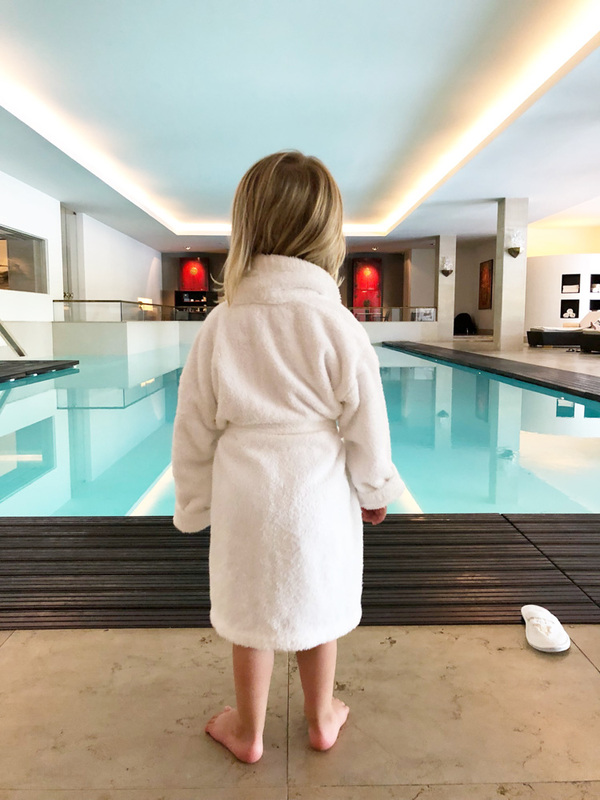 The Spa pool is open to families, which shows how much Four Seasons Lisbon caters to families! Rooftop fitness center: We didn’t actually work out here, but we went up to the fitness center for the most amazing 360 degree views of the city! 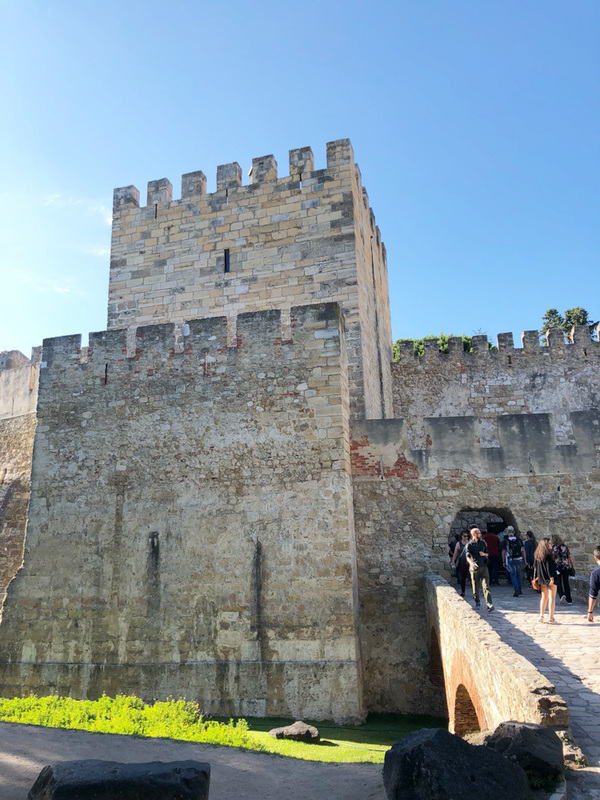 Castelo Sao Jorge: After checking in the first day, this was our first stop! 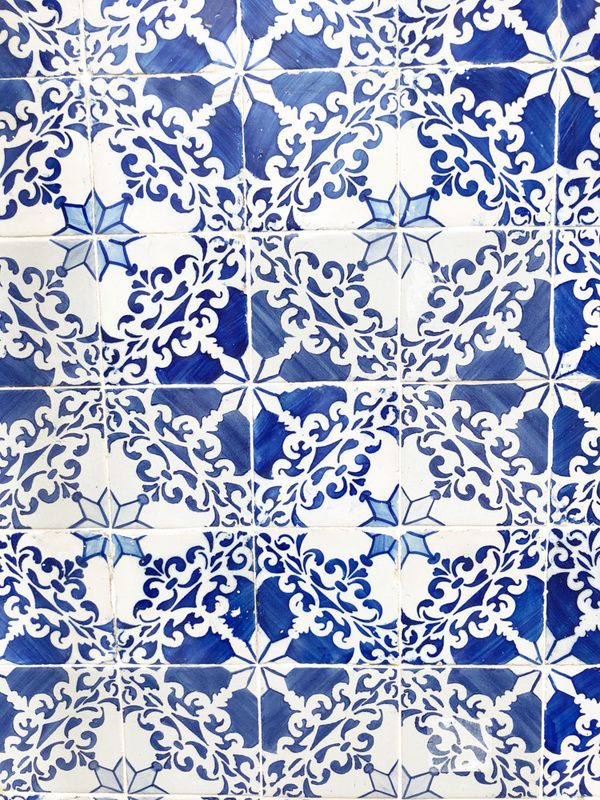 It is a Moorish castle at the top of one of Lisbon’s many hills and overlooks the city – it’s a beautiful viewpoint! The ride to get there is unreal – the tiniest little road and steep, too. Once there, you buy a ticket to get into the castle and the viewpoint. We were there around 5:30 pm and it was a beautiful time of night! 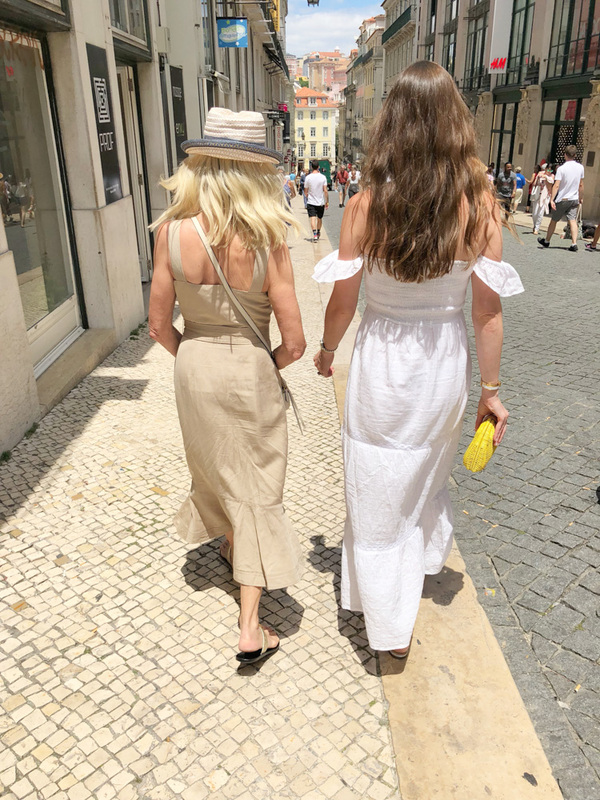 Afterward, we walked through the nearby Chiado neighborhood (so charming!) and made our way to dinner. Tuk tuk: The Four Seasons was so gracious to host our Tuk Tuk adventure. 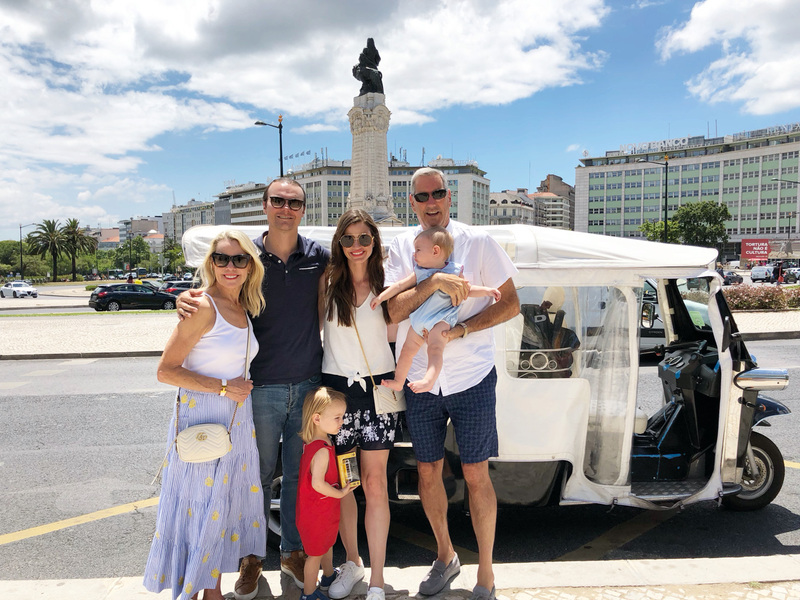 We explored Lisbon by Tuk Tuk (it’s like an over-sized golf cart) for the first half of our second day. It was the perfect way to see most of the city in a short amount of time. 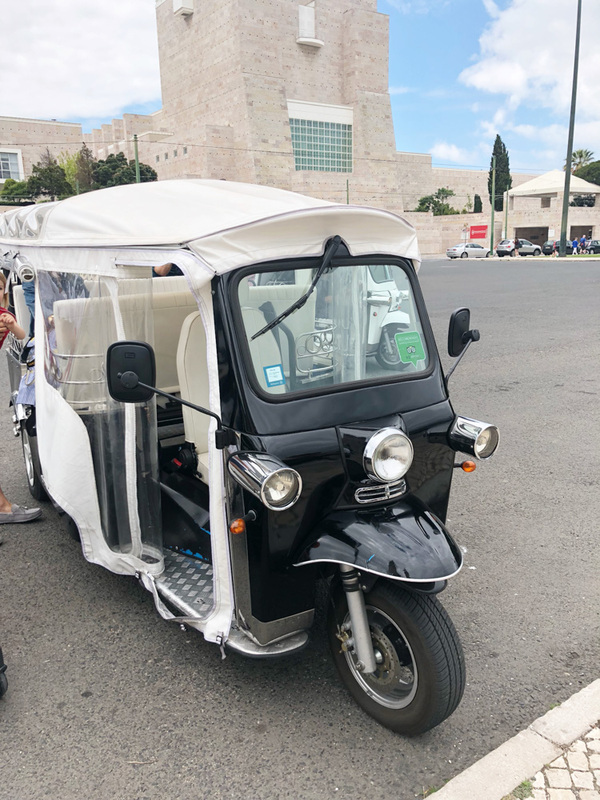 Our Tuk Tuk driver was so knowledgeable about the city and its history plus the boys had the best time riding around in the Tuk Tuk. Time Out Market: This was a great stop during our tuk tuk tour. 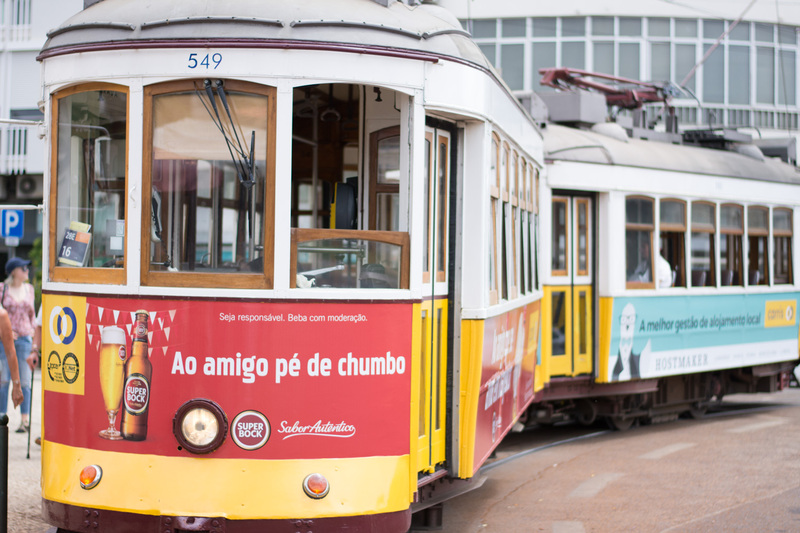 We explored the market and sampled the traditional Portuguese liqueur Ginjinha- it tasted similar to sour cherries. .
Tram 28: William was all about the yellow trams, so we of course had to ride one! 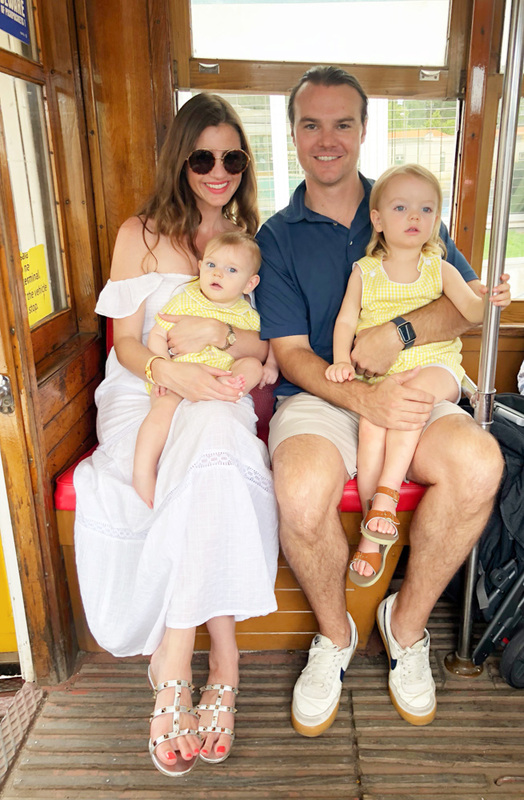 The concierge recommended for us to get on the trolley at the starting point, so that we would be able to get a seat – the trolleys get very crowded as you head closer into the city. It was great advice- we got seats at the front and by the next stop people had to stand. 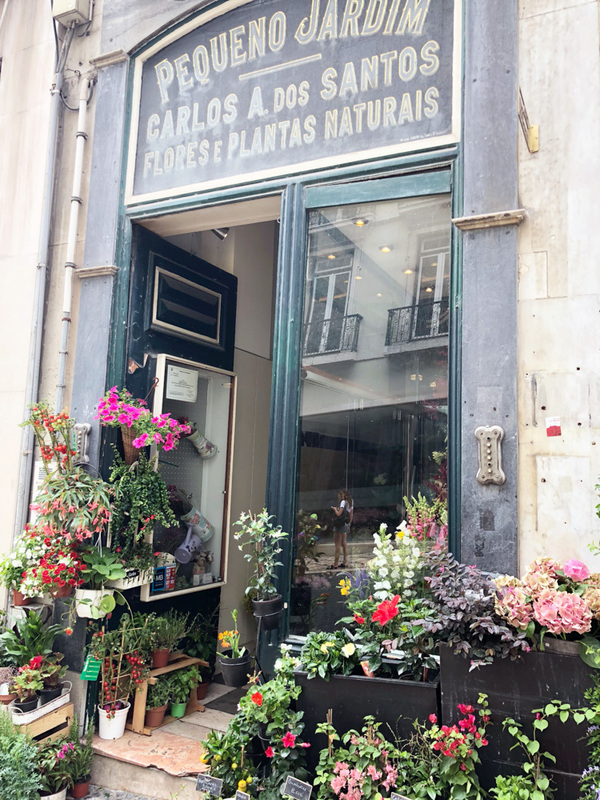 Walk the neighborhoods: Chiado, Barrio Alto, Alfama are the most charming, colorful and beautiful little areas. There are so may charming shops and restaurants. 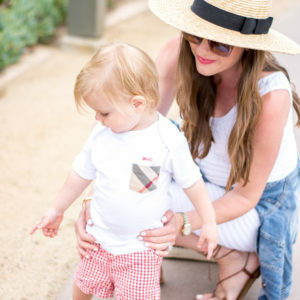 Almost all of the sidewalks are made of tiny cobblestones and tiles, so be prepared for uneven footing- and the hills! 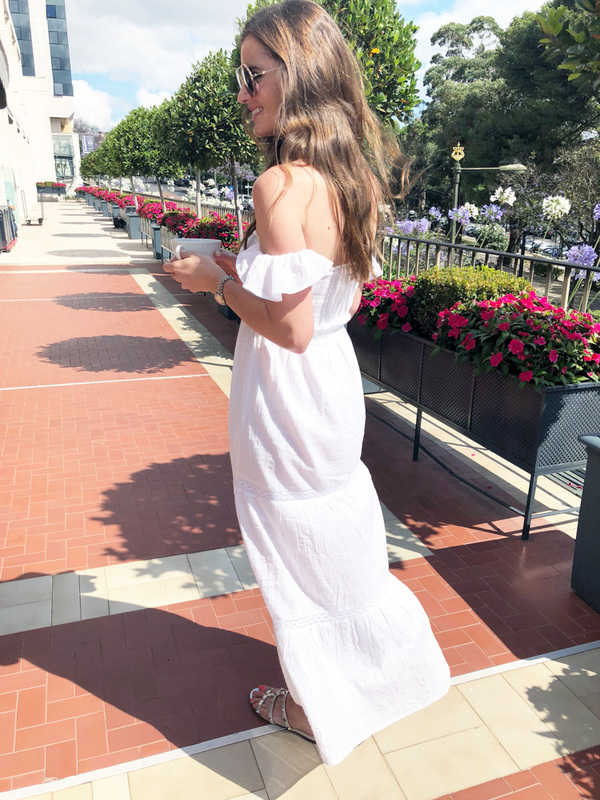 Comfortable flats, sneakers or sandals are the way to go! 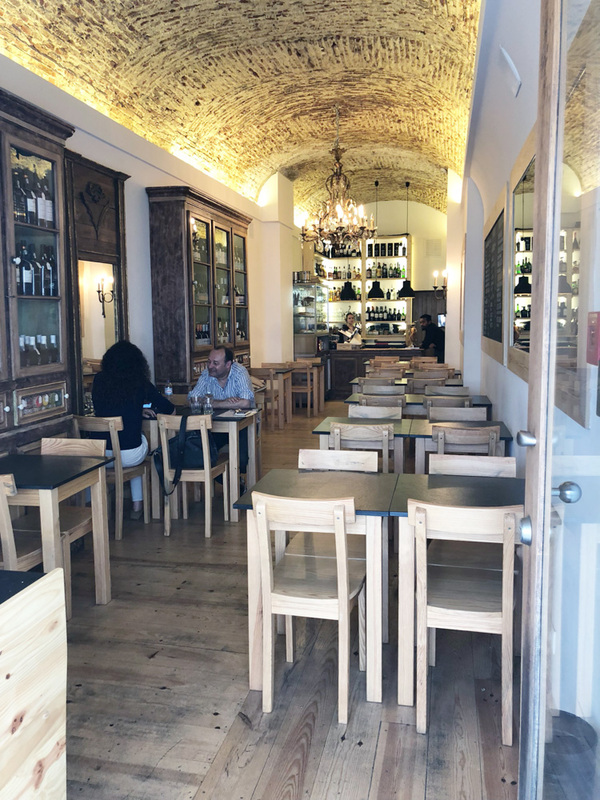 Antiga Wine Bar: We stumbled upon this little wine bar as we were walking from Castelo Sao Jorge through Chiado. 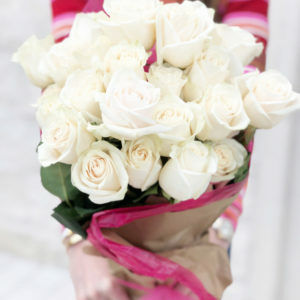 It was tiny, charming and wonderful! Forno D’Oro: After our Tuk Tuk tour, we were dropped off at the hotel and we walked to Forno D’Oro for lunch. They are known for having the best pizza in Lisbon. It was the best pizza we’ve had – and that’s saying a lot! You have to go just to see the custom gold pizza furnace- amazing! 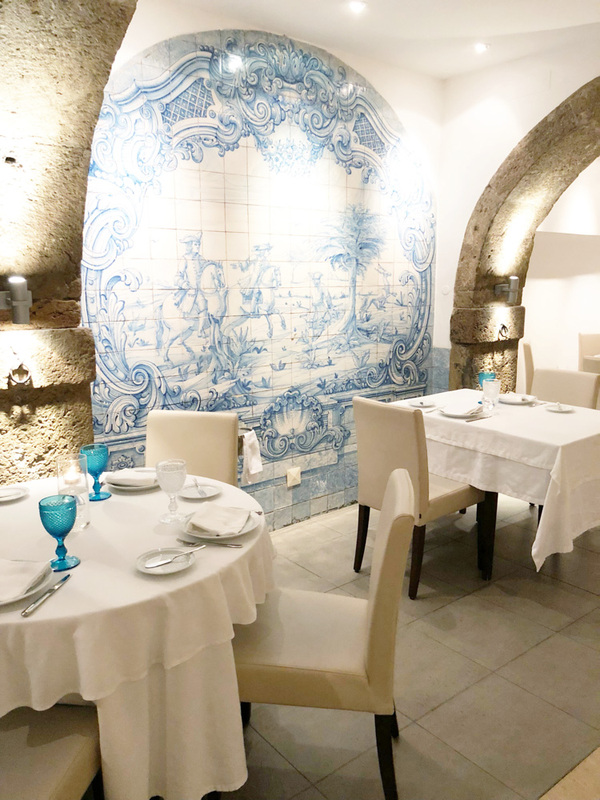 Cantinho do Avillez: On the recommendation of the concierge, we ate dinner here our first night in Lisbon. 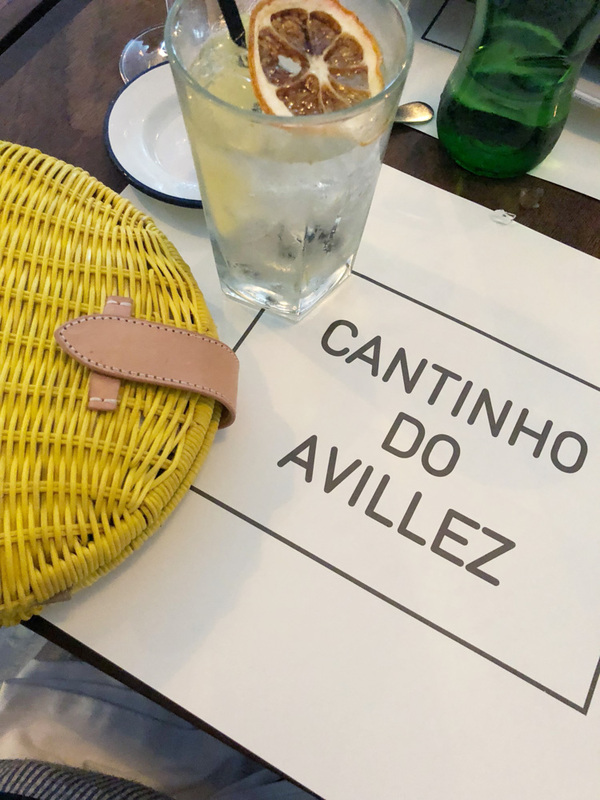 We wanted to try one of José Avillez’s restaurants (he is the only two-star Michelin chef in Lisbon) and we were happy to be able get a reservation here! We loved the cozy ambience and the food was wonderful! Lisboa a Noite: For our second night, the concierge recommended that we try traditional Portuguese food and made a reservation at Lisboa a Noite. We arrived around 7:45 and the place was completely full at 8. 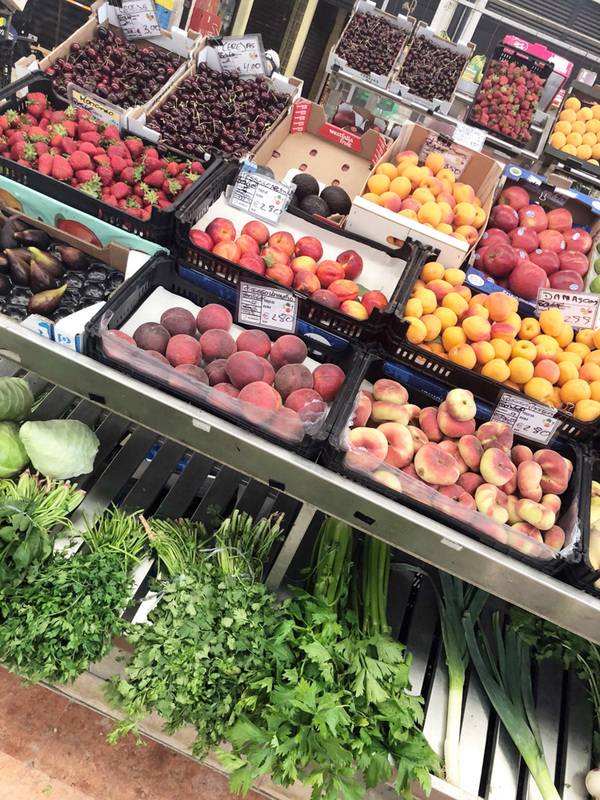 We had the best experience here with fabulous food and service. We highly recommend the salt baked cod. And William would recommend the dessert cart! It was his first experience with one and he is now the biggest fan. 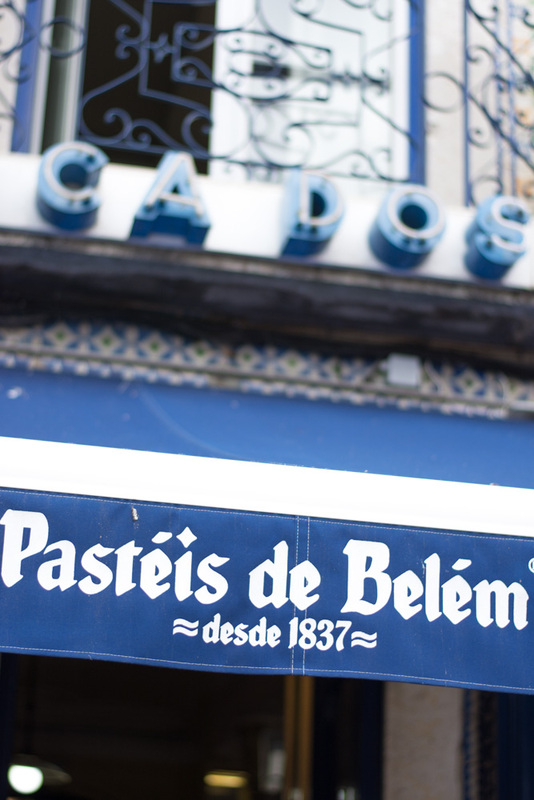 Pastéis de Belém: It’s not a trip to Portugal without trying a visit to Pastéis de Belém for their Pastéis de Belém creamcakes. There will be a line, but it moves pretty quickly and it is totally worth the wait! Yum. 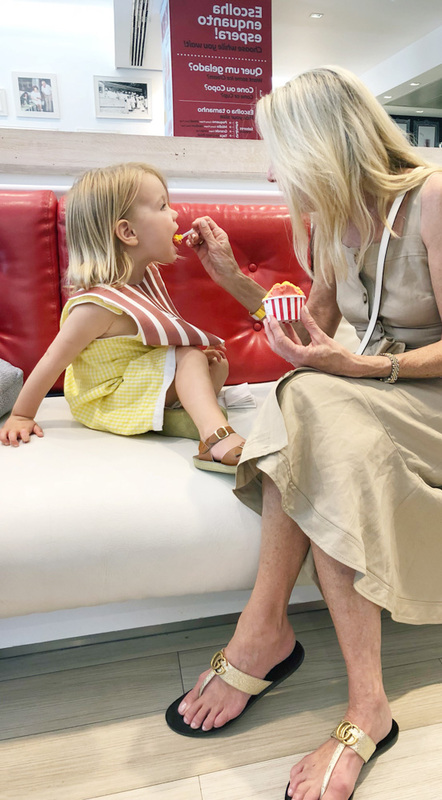 Gelados Santini: We were told that this iconic little ice cream shop serves some of the best ice cream in the world and we won’t argue! William’s favorite was the mango and strawberry combo. Sneakers and comfortable shoes: So.many. hills. And so many cobblestones and little tiles! Wear comfortable shoes and be ready to walk! 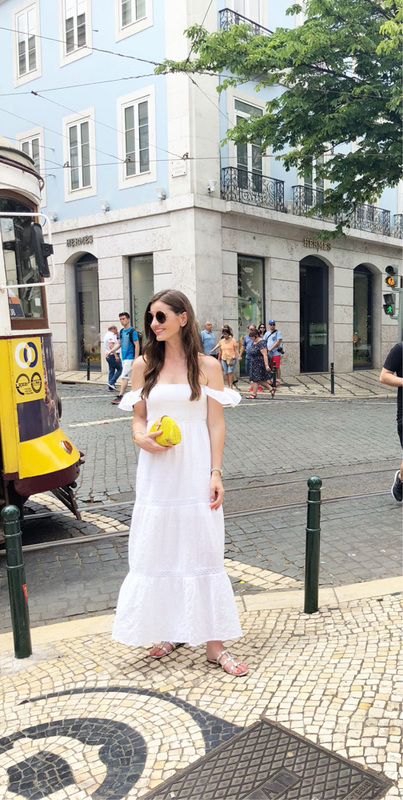 Brought these white sneakers and also brought these sandals which were comfortable on the days we explored Lisbon. 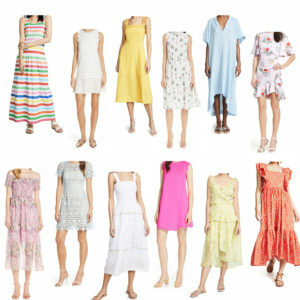 Shorts/skirt/dress: It was warm during the day so we recommend packing dresses, maxi dresses, skirts or shorts! Jacket for night: It cooled off at night, so we always brought a jean jacket to dinner! Crossbody bag: Or something you can wear near your body. We were warned about pick pockets on the Tram 28 and other congested parts of the city. 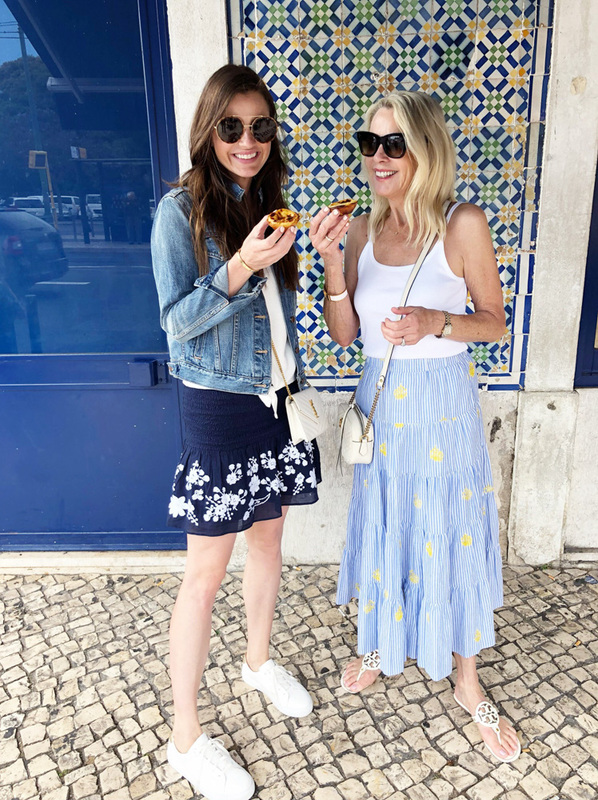 Find all the items we packed for Lisbon on this post! It’s hard to get around with strollers. For the most part the sidewalks are very narrow and uneven. We were so happy we brought the two MINU strollers for the boys. With our double stroller VISTA we’re not sure how we would have navigated the city streets or pushed them up all the hills. The smaller strollers made it so much easier! Dinner starts no earlier than 7:30. We wanted to go to Park one evening for drinks, but some of the bars don’t allow children- call ahead before going. The traditional appetizers we were served before dinner were delicious – soft Portuguese cheese and olives! Everyone we met was very helpful and so kind to the boys – something you don’t always find when traveling! We were warned about pick pockets on the Tram 28. We didn’t have any problems, but be mindful of your things when out in public! 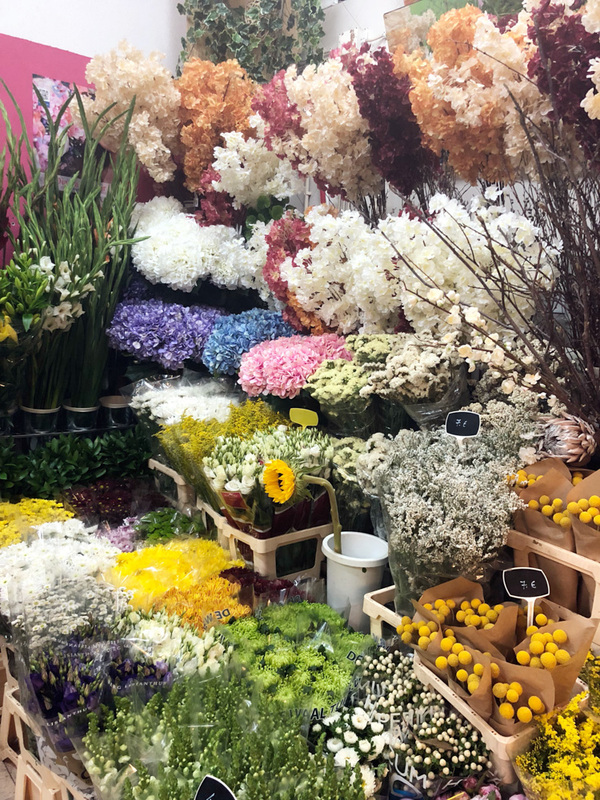 Thank you to Four Seasons Lisbon for partnering with us to bring you this post!